I live paycheck to paycheck can I save money? Today, you are going to learn how it is possible to save money when living paycheck to paycheck. 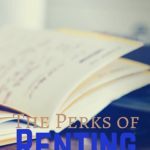 We hear about how important it is to save money, why having an emergency fund is so important; yet many of us struggle with saving money and are living paycheck to paycheck in this country. Saving money when you are living paycheck to paycheck is possible. How can I sit here and say that it is possible to save money when you are living paycheck to paycheck? I lived it. I’ve been through it. I couldn’t wait for payday, only to be broke by the end of the weekend. The saddest part is that I got paid bi-weekly so that I would be so down for a week and a half until the next payday. I remember the joy I had when I heard that my company decided to change the date we received our direct deposit from Friday to Thursday. Why? It was because I would get my money a day earlier. 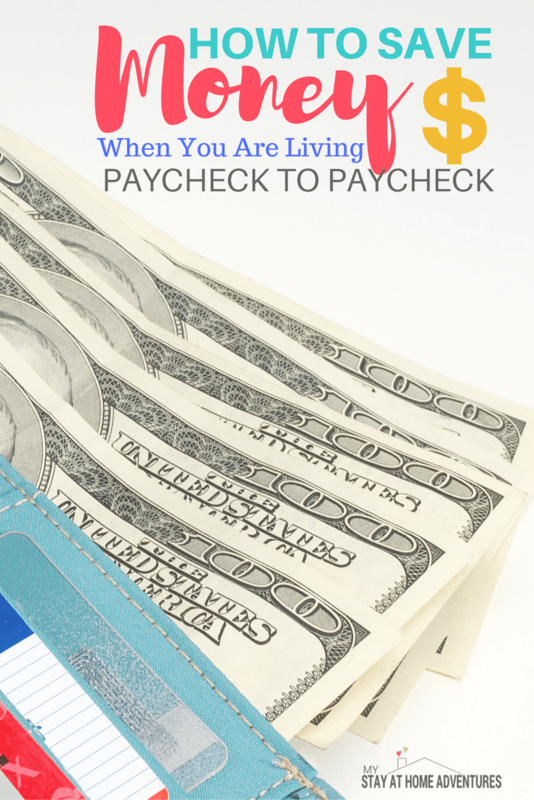 Living paycheck to paycheck was a terrible way of living for me. My parents lived this way when I was growing up, and so did many other family members and close friends. I had never heard of creating a monthly budget. When things happened, we blamed everything and everyone but ourselves because we were so frustrated that we didn’t have money to pay for it. Living paycheck to paycheck created more debt for me, and if you don't believe me, I will explain right now. When my car would break down, I would use my credit card to repair my vehicle. Instead of using my money wisely, I would use my credit cards as emergency funds. And I'm sure I wasn't the only one that used their credit cards as an emergency fund. Living this way was a stressful life; one that many Americans continue to live. Having to live paycheck to paycheck is a terrible way to live. It’s such a negative way of living; it affects the entire family, not only financially, but emotionally as well. When things go wrong, and you need money to repair your car, and you know you don’t have money, are you happy? Do you blame yourself? Do you blame others? Are you in such a bad mood that all you can think about is your car broken down and how much it’s going to cost? Would you be out of a vehicle until your next paycheck? Since you will be using your next paycheck to pay for your car repairs, what bills are you NOT going to pay? Do you see a pattern here? Does this sound familiar? Even when you think that saving money is not doable because of your paycheck to paycheck situation, I can tell you that saving money when you are living paycheck to paycheck is possible. I did it. I am here to give you ideas and to encourage you; if you follow these steps, you will be able to have money saved up. All it takes is time, consistency, and a commitment from you that it is possible. It doesn’t matter what your income is, saving money can be attainable. When you are living paycheck to paycheck, you need all the information you can get about where your money is going. Without a budget, you are not managing your money. Instead, your money is controlling you! A budget can show you some of the reasons you are running short on cash. It is also telling you and guiding you. Telling your money where to go, and having control and knowledge of your finances, will help you understand and stay focused when it comes to saving money. Maybe you are spending way too much money on eating out? Learning where your money is going is extremely important. If you spend $10 on a few simple things every morning at the coffee shop/gas station, it seems like a small amount each time. Add that up, and you are spending $300 a month on just coffee/snacks/breakfast (whatever you get in your morning ritual)! This is why it is so important to track your spending habits with a budget. If you are not planning on creating a budget then your chances of saving money while living paycheck to paycheck will be very slim. When I first started to save money, I decided that I wanted to save a set amount for the first month. I decided I wanted to save $50. Now keep in mind that my finances were simply a mess. I was a single mom, and I couldn’t save for crap! By creating a goal that was attainable, it gave me something to work for in my first month. When I reached my first goal, I decided to transfer $20 a week, every Friday, to my savings account. That’s how it began for me. I created saving goals that motivated me. Having a plan, and creating goals, will help you stay focused and motivated to save money when you are living paycheck to paycheck. The reason I say open an online account is that, quite honestly, you don’t want to open any bank account that requires a minimum balance of $100 or charges you monthly fees. Many online banking institutions, like CapitalOne 360, require no minimum balance and have no fees. I use CapitalOne 360 for my Christmas saving account and have $20 transferred each Friday by the end of the year we have enough money saved to help us during the holiday season. After you open another bank account, start saving what you can for now. Start with $5 a week, $20 a month, or any amount that you can realistically save (budget permitting). Having an online banking account helped me out so much for the simple fact that I couldn't just walk to the bank and take the money. Withdrawing the money wasn't convenient for me, this allowed my savings to grow. In July 2016, we decided to give Digit a try, and we haven't looked back. With Digit we have saved more than the goal we set to save. We have configured to save $500 by February 2017, December 29, 2016, the account reached $797.50! You probably are so used to your spending ways to realize that along the way; you lost control of your finances. You are stressing over money due to lack of planning. Once you set your budget and opened another bank account, it’s time to grow that savings baby! I think this is where the fun begins because it’s when you realize that you have control of your finances and not the other way around. Many people believe that making a little extra money on the side is not possible. It is time to think outside of the box and be creative. Remember that you are living paycheck to paycheck and any extra money coming in will be helpful. There are many ways to make extra money without getting a part-time job. 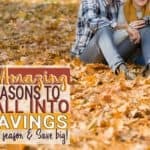 Continue with your saving goal plan and add these money-making ideas to the mix, you will be adding more money to your saving accounts. The rebates apps are amazing when it comes to earning extra money for shopping. Many of these apps will award points for simply walking into a store, scanning an item, or buying selected items. These rebates apps were not around a few years ago, and now that they are, it is incredible how convenient they are. They help you save money on almost every product around. From eggs to healthy food, you will find rebates on your favorite brand. How do you use this money toward your saving goals? Many of these apps will direct deposit your money once you've reached the payout limits to your bank account. 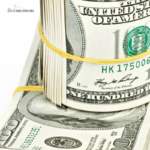 You will be surprised how simple it is to make extra cash with rebates apps. These online survey companies are great to make extra money from home and, sometimes, your Smartphone. There are a lot of online survey companies that are legit that you can earn real extra money. On a cautionary note, I will tell you that you will not be rich overnight; but anything is better than nothing. There are a lot of legitimate survey sites out there (like the ones I listed), but there are fake/scam survey sites as well. Be careful when joining new sites; always research an unfamiliar website before giving them your information and time. Also, you have to have the time to sit and answer these surveys. You have to be careful that you don’t waste time because sometimes you will not qualify for the survey. There are many ways to earn extra money, and you can read all about them here. Remember that you want to use the money you make to grow your savings. We can stop living paycheck to paycheck because it is possible. Will it take time to reach? Absolutely, and as I said before, it takes commitment, time, and consistency to see your money grow. The best thing I ever did was start saving small. By doing this, it opened the door to many other financial accomplishments, like paying off my debt! I hope these helpful tips will lead you to the path of financial independence and a financially stress-free life. Living paycheck to paycheck is not the only way to live, and you can escape from this pattern. How did you manage to get out of living paycheck to paycheck? How did you manage to start saving and breaking free of this terrible pattern? Please share it with us! Thank you Kayla! Somehow we managed to save money even after some rough weeks we were having. I agree with you that it does get better. It is so stressful to be scraping by, and no matter how “smart” it is to put money aside it’s still difficult. I like the thought of not trying to squeeze more money out of your paycheck, but looking to other places to make a little extra. Thanks for sharing! Hello from Thrifty Thursday. Thank you for stopping by Melissa! I agree, for me it was hard at first but once I got the hang of it I will save more. When I say more I mean a few bucks more. I am telling you I started with saving a small amount. Great financial advice! Thanks for sharing on the #ShareTheWealthSunday Link up! I can feel the emotion and stress of living paycheck to paycheck just by reading your post. Every little bit of savings does count. Great financial advice! Every bit of savings definitely counts! I still keep a giant change jar and use it for the fun stuff at the end of each year. Thanks for the tips!